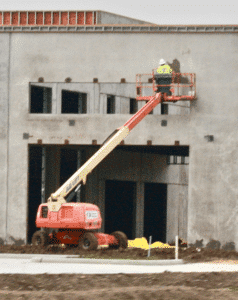 Aerial Lift Accident Attorney | Simmons and Fletcher, P.C. Aerial lifts are mobile devices that raise men up in the air in a bucket or on a platform with rails enabling people to work or reach things at medium to large heights. The are also known as runabouts, articulating boom lifts, aerial ladders, vertical towers, aerial work platforms, man lifts, scissor lifts, and tow behind lifts. Smaller lifts may be used in warehouses and stores to reach items placed on high shelves whereas the larges of these can lift people as high as 46 feet in the air. Aerial lifts can be a source of electrocution when the operate is unaware of an overhead power line. This was the case in the substantial work injury settlement recovered by Keith M. Fletcher on behalf of his client. If the operator or person in charge of the vehicle is not aware of overhead power lines or someone attempts to move the lift while the boom is raised, electric shock accidents can occur. If you or someone you love has been a victim of electric shock due to misuse of an aerial lift, call Simmons and Fletcher, P.C. for a free consultation. 453 (b)(2)(v) which requires that a body belt and lanyard be worn and attached to the basket at all times when working in a aerial lift. 453(b)(2)(vii) which requires that brakes be set when outriggers are used and pads be positions on a solid surface. 453(b)(2(viii) which requires that an aerial lift truck not be moved while the boom is elevated with men in it unless it meets certain specifications for this type of work. 453(b)(2)(ix) which requires that there be both upper and lower controls for articulating booms and extensible boom platforms designed as personnel carriers. Violation of the above standards may result not only in fines imposed by OSHA but also civil liability for negligence in failing to follow accepted industry standards and practices. 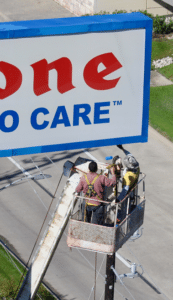 If you have been injured while working in, on, or around an aerial lift, call Simmons and fletcher, P.C. for a free consultation. If the OSHA regulations are not strictly followed, serious injury may occur. If you have been injured due to a work accident involving an aerial lift, call Simmons and Fletcher, P.C. for a free consultation at 1-800-298-0111. The consultation is free. If we take your case, we work on a contingency fee basis so there are no upfront costs to you and you only pay a fee if we make a recovery.